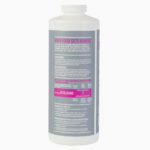 Liquid nutrient supplement for hydroponic gardens, specially formulated for growing flowering and fruiting plants. Great for growing plants like strawberries, blueberries, and melons. Contains a boost of phosphorus and potassium to support flower and fruit development. Can be used any time during the plant growth cycle. When Root Farm Fruit & Flower Supplement (Part 2) is combined with Root Farm Base Nutrient (Part 1), they deliver the key nutrients your plants need for flower and fruit development. Great for use with water-based systems or with soil-less growing mixes like Root Farm Hydro Garden Potting Mix and Root Farm Hydro Garden Coco Coir Blend. 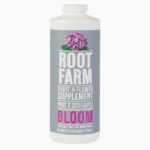 Root Farm Fruit & Flower Supplement (Part 2) is designed to work with Root Farm Base Nutrient (Part 1). For best results, shake well and use with fresh water. Create a nutrient solution by adding water, Root Farm Base Nutrient (Part 1) and Root Farm Fruit & Flower Supplement (Part 2). Mix thoroughly before feeding your hydroponic garden. See the feed chart for nutrient mixing instructions. Use a conductivity or PPM meter to check water quality and strength of your nutrient solution. 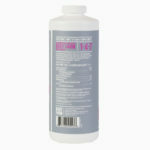 Maintain nutrient solution pH between 5.5 and 6.5 for best results. We recommend a full replacement of the nutrient solution every couple of weeks to help maintain proper nutrient concentrations.